*Few days after Tiv Youths Organization warn Senator George Akume over attack speech. Shock, fear and palpable tension has taken over the whole of Logo Local Government Area of Benue state following the resurgence of herdsmen attack in one of the Villages/Community in Logo Local Government area of the state . Daily Watch findings Confirmed that the suspected herders in their numbers hit the community known as Tse-Dzungwe, in Logo Local Government Area of Benue State. Dzungwe situated at the Banks of the River Benue, this community has been repeatedly and consistently attacked by the same herdsmen with several inhabitants just returning to the communities and others recovering before the latest attack. According to an eyewitness, John Tesendor who narrowly escaped death in the hands of the genocidal herders confirmed that the “herders attack was reported to the Military personnel drafted to the state who chased them all away bur sadly enough regrouped afterwards and re-launched a more fearsome attack on our community with no resistance at all”. It would be recalled that the Youths in Benue State under the TIV Youth Organization warned days ago that the statement by Senator George Akume Representing Part of Benue State in the National Assembly to the effect that attack on Benue is not by Herders but Benue People Killing themselves would encouraged the herders to launched more attacks and just days after the first attack has started. Daily watch spoke to the PRO of the Benue state Police Command Moses Yamu who told us that he is unaware of any recent attack as his officers are yet to brief him of any of such attack. 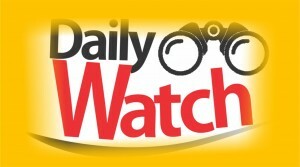 Daily Watch also frantically tried reaching the spokesperson of the State governor to also confirm but he did not pick our calls as at press time.